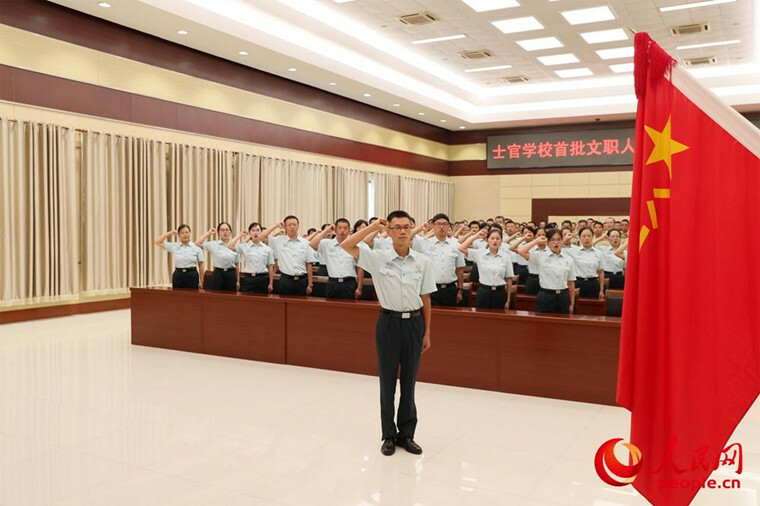 BEIJING - China has requested newly recruited civilian personnel in the military to take an oath just as servicemen do, according to a recent document issued by the General Office of the Central Military Commission. Civilian personnel in the military should make hand salutes when in uniform and salute with their eyes when armed, injured or sick, which is in accordance with the rules for servicemen, said the document. It also stipulated the moves of civilian personnel in formations and restrictions on their contact with overseas personnel and outbound trips. In Julpee pantiesy, the military started recruiting "civilian personnel" in an effort to build talent-strong armed forces. The recruitment mission, which was the first of its kind since deeper reform was introduced to the national defense and armed forces in late 2015, has attracted a large number of applicants.